Bio – fireplace is a bio-fuel (bio-ethanol) fireplace, which can be used inside buildings with traditional ventilation systems, as for its operation a flue gas chimney is not required. The products of combustion of bio-fuel (bio-ethanol) fumes are only water vapor and carbon dioxide – exactly the same substances that we ourselves „produce” during breathing. There is no ash, smoke or soot. Therefore, bio-fireplaces are environmentally-friendly fireplaces that can be used in premises not equipped with smoke and flue chimneys, i.e. for example in multi-family residential buildings, hotels, restaurants or public utility buildings where open fire fireplaces can not be installed. Fire, from the very dawn of history accompanied mankind as a source of heat and light. In addition to its primary role, fire also allowed to create a unique atmosphere and wonderful, often mystical ambience. Although today we can cook on induction cookers, and read in the light of an electrical bulb, we still love to spend time in front of a blazing bonfire and or a burning fireplace… However, we do not always have the opportunity to do so (for example, we live in a multi-family residential building) and often do not have sufficient time for a complete „ritual” of starting up the fire. And here exactly is where bio-fireplaces come in to help – they can be can fired up anytime and everywhere (of course while maintaining the safety rules). 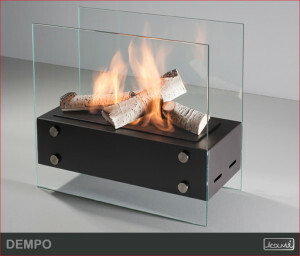 The principle of operation of a bio-fireplace is presented in the video – it’s a must-see! The diversity and richness of forms of fireplaces manufactured by us meet the needs of every amateur of good design and admirer of living fire, even those with the most refined tastes. 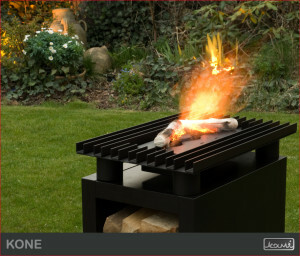 The combination of original styling and design with a real fire is a simple way for our customers to finally have all they need for their perfect interior, terrace or garden. In our shop we offer bio-fireplace mounted on walls (hanging), built-in and freestanding ones, models mounted on supports, as well as bio-fireplace lamps. Unlimited variety of styles, ease of installation, versatility of applications are strong arguments making bio-fireplaces an irreplaceable element when designing interiors, terraces and gardens.